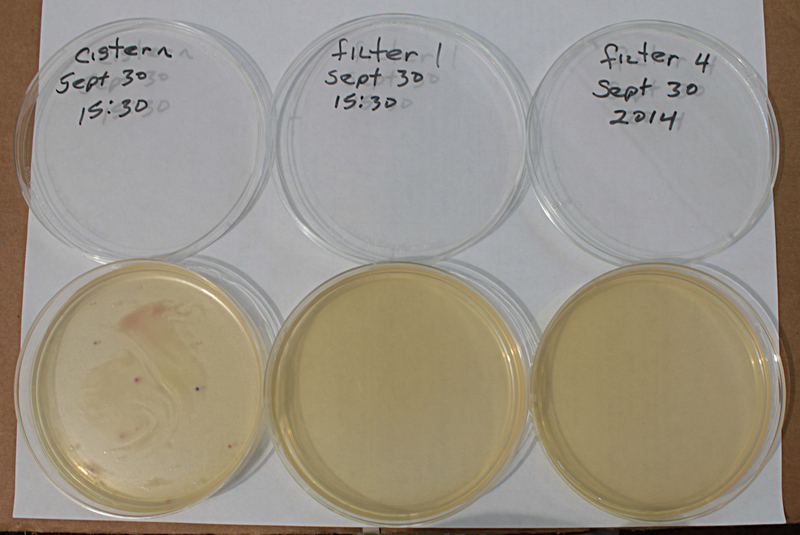 These images are of filter 1, filter 4, and the cistern output water tests. Tests on filter 2, filter 3 and filter 5 will be done in the next couple of weeks. This is a great way to test sand water filters! Thanks for sharing.